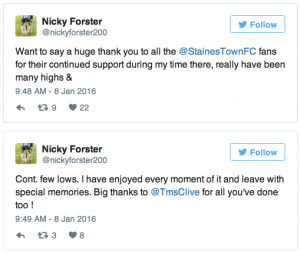 True gent Nicky Forster said he had left Staines Town with no regrets following his resignation from the club in the wake of the 3-0 reverse against Leatherhead on Wednesday (January 6). Although conceding that he gambled by putting too many players on contract – only for them to underachieve which made change difficult – he cited this season’s FA Cup run as a personal highlight and said he enjoyed his time at the club , which lasted exactly 12 months. “I enjoyed every moment even though we had some low times, but it’s a learning experience and I left on good terms with the chairman and the fans who were great to me,” said Forster. “I have tried to thank those supporters personally on social media, they were excellent. “I’m not going to jump back into football just yet. I am going to watch a few games and spend time with my family. Forster added: “The team underachieved, which was the key reason I left. “I have been mulling it over for a couple of weeks but I made up my mind on Wednesday and although I slept on it, I emailed the chairman first thing Thursday morning and told him I wanted a chat and he was great about it. Shocked assistant manager Graham Abercrombie, boss of West Brom Ladies, was the unfortunate man caught in the crossfire. 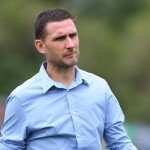 He was keen to stay on and run the team in the interim with a view to applying for the manager’s job full time, but never got the chance when he was sacked in favour of club stalwart Martyn Spong being given the role. Meanwhile, chairman Matt Boon said he would take his time over the appointment of Swans’ next manager. Boon declared: “I’m disappointed it didn’t work out with Nicky as I wanted it to work just as much as he did. “For one reason or another the players have not produced and they were the players he showed faith in. “The performance at Leatherhead was abysmal and it’s not that we haven’t got good players. It’s difficult to put your finger on. “Perhaps now we have had two managers [Marcus Gayle and Forster] who are names, we might need to go in a different direction and appoint someone with a better knowledge of the non-league game. Tommy Brewer, an experienced head on young shoulders in the Swans team, believes the players could have done more for Forster. He underlined what Boon had mooted and said: “To a degree it’s the players who have let him down. There are a lot of kids, not enough men in the team. “We’ve had people like Pursey [Darren Purse] who have left us, who was instrumental in what we were doing. We just look deflated and when you are in that hole it’s difficult. “It’s not like you can bring lots of players in to change it because we haven’t got the budget to do that. There are all these other teams bringing in players and we don’t seem to do that. “Obviously, I don’t know about that side of things and I just go out on the pitch and do what I can do to try and help that way. 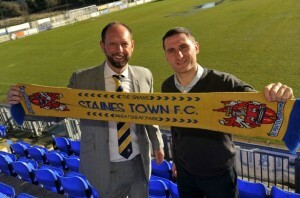 Many of the Staines players are on contract so any new appointment would mean working with predominantly existing players, therefore Boon sees Spong as the ideal interim appointment. #TakeTheFirstStep is a campaign currently running across Surrey that is aimed at encouraging not only people experiencing domestic abuse, but also their friends and family to seek advice about abusive relationships. Although Surrey Police receives around 1,000 reports of domestic abuse a month, it is believed that many more incidents go unreported and the campaign will particularly target social groups with a lower rate of reporting domestic abuse. Domestic abuse means any incident of threatening behaviour, violence or abuse (psychological, physical, sexual, financial or emotional), between adults aged 16 and over who are or have been intimate partners, or are family members. Domestic abuse can affect anybody, regardless of their gender, age, race, sexuality or social background. 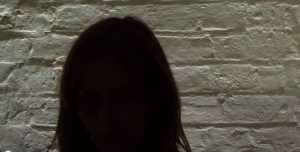 Domestic Abuse is never acceptable and is a crime that Surrey Police take very seriously. We are committed to protecting the lives of both adult and child victims of domestic abuse. We will investigate all reports of domestic abuse effectively, to bring offenders to justice where possible and hold them accountable for their actions. We work closely with our partner agencies to prevent and reduce domestic abuse. As part of the campaign, those who suspect their friend or family member is experiencing domestic abuse, are being encouraged to call the Surrey Against Domestic Abuse (SADA) helpline themselves to get advice. Alternatively if the abuse has become serious it should be reported to the police by calling 101 or through Crimestoppers anonymously on 0800 555 111 (www.crimestoppers-uk.org). In an emergency always dial 999. 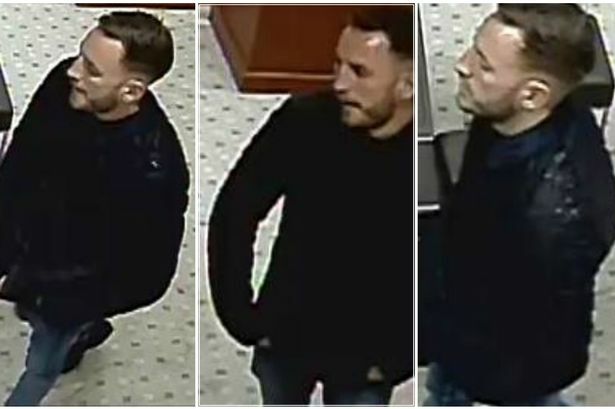 CCTV images have been released by police in a renewed attempt to track down a man they wish to speak to in connection with the theft of valuable watches in Staines. Two Tag Heur watches, with a combined value of more than £4,000, were stolen when a man entered the Goldsmiths jewellers in Norris Road. The incident took place at around 2.30pm on Wednesday September 16. Clearer CCTV images have now been released of a man Surrey Police are keen to speak to as they believe he may be abe to provide vital information to assist their investigation. Anyone who recognises the man shown in the images or with any information on the theft should call Surrey Police on 101, quoting reference 45150083753, or call independent charity Crimestoppers anonymously on 0800 555 111. 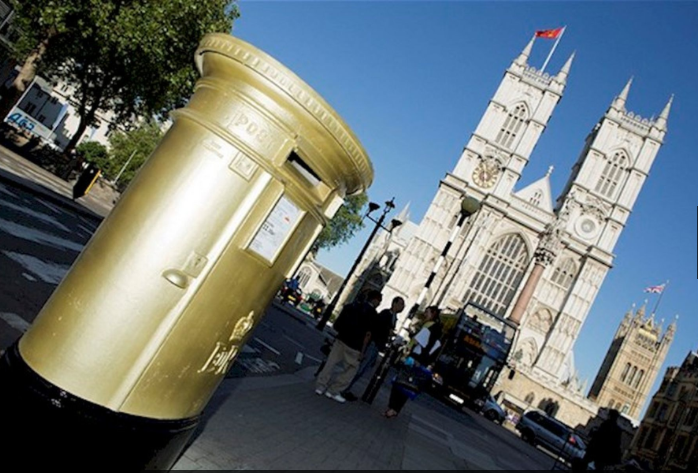 To mark the achievements of British gold medal winners during the 2012 Summer Olympics and 2012 Summer Paralympics, Royal Mail painted post boxes gold in the winners home towns. Royal Mail is celebrating 500 “great” years of service by commemorating a number of people, including two in Surrey, for the roles they played. This year marks 500 years since Henry VIII knighted Brian Tuke, the first Master of the Posts, back in 1516. This move was said to have been the catalyst for the creation of the postal and delivery services we recognise in the UK today. To celebrate, Royal Mail, together with the British Postal Museum & Archive (BPMA), are creating an online gallery of 500 objects, people and events telling the story of the postal service – and also of its contribution to social and political development over the last five centenaries. Included in the line-up is a former Staines resident who was said to have rowed 2,500 miles delivering letters to houseboats along a seven-mile stretch of river in in the town during the early 20th century and also a Haslemere-born architect who designed the hexagonal Penfold postbox. Moya Greene, Royal Mail’s chief executive officer, said: “We are proud to celebrate the heritage of this great company. “The history of the postal service in the UK reflects the tremendous societal and political change that has taken us from sixteenth century Tudor England to the United Kingdom today. “In all its guises, Royal Mail has been responsible for a number of world firsts – the Penny Black stamp and the first ever airmail flight to name just two. “It has also changed almost beyond recognition, from a small group of King’s Messengers in those early days to a national network connecting consumers, companies and communities across the UK today. The origins of Royal Mail date back to the 16th century, when Tuke had the “influence and authority” to establish key post towns across the country and build a formal postal network. Before 1635, the postal service operated only for the King and the Court until it was opened up to the general public by King Charles I. The Post Office Act, which was sealed in 1660 made it a publicly-owned postal service which later paved the way for a unified postal service across Scottish and English (including Wales) administrations following the 1707 Act of Union. Ireland followed suit in 1808. From 1800 to 1952, river postmen and women operated on the River Thames, delivering mail to boats moored from London Bridge to below Limehouse. This included Staines-born Doris Beauman, who was one of these river postwomen working during the First World War delivering letter the houseboats. By 1919, it was said she had rowed some 2,500 miles. Also doing his part to help in Surrey was Haslemere’s John Penfold, a surveyor and architect best known for designing the hexagonal Penfold postbox in 1866. He was president of the Architectural Association School of Architecture from 1859 to 1860 and an associate of the Royal Institute of British Architects before being made a fellow in 1881. Penfold was also a founding member of the Royal Institution of Chartered Surveyors and sat as its honorary secretary from 1868 to 1904 before his death in 1909. Today, Royal Mail handles more than one billion parcels and more than 16 billion letters a year and has with a workforce of more than 140,000 people. To find out more, visit www.royalmailgroup.com/500years. 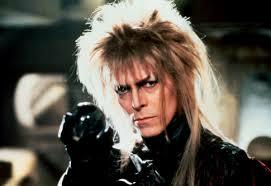 The singer, who had been living in New York in recent years, only released his latest album Blackstar last Friday, his birthday. 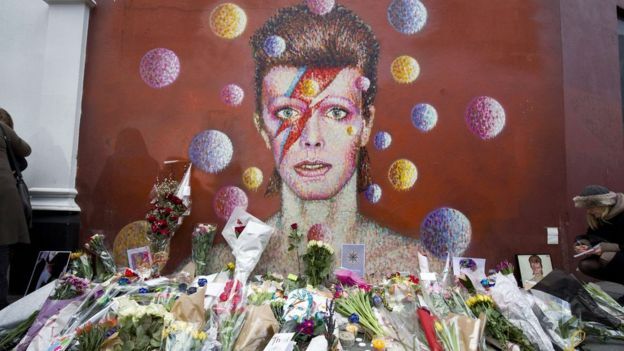 Sir Paul McCartney said he would “always remember the great laughs” the pair shared, saying in a statement: “David was a great star and I treasure the moments we had together. Brian May, guitarist with Queen – with whom Bowie collaborated on Under Pressure – described him as “a fearsome talent”. 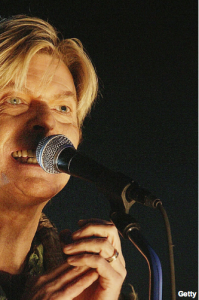 Madonna said she was “devastated”, writing on Facebook that Bowie “changed the course” of her life after she saw him perform – her first ever concert.